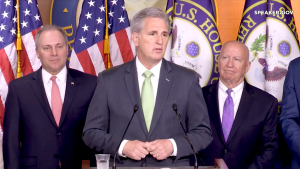 McCarthy spoke at a leadership press conference on immigration reform, the House’s work to combat the opioid crisis, and the positive impact tax reform is having on the economy. 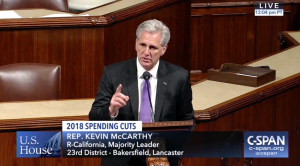 McCarthy discussed the latest on immigration reform, how Congress is working to combat the opioid crisis, and censorship of conservatives on social media. We are spending this week and next week to pass more than 70 bills dealing with this addiction. 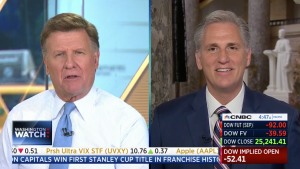 McCarthy appeared on CNBC’s Squawk Box to discuss trade negotiations, and the positive impact tax reform and the GOP agenda is having on the economy. 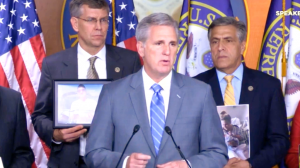 McCarthy spoke on the House floor today in support of H.R. 3, the Spending Cuts to Expired and Unnecessary Programs Act.